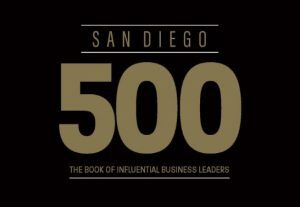 San Diego – December 5, 2018, RippleNami, Inc., a provider of blockchain data visualization technology, is pleased to announce their Chairman and Chief Executive Officer Jaye Connolly-LaBelle has been included in the 2019 edition of the San Diego 500: The Book of Influential Business Leaders, published by San Diego Business Journal. Curated by the San Diego Business Journal newsroom, this coveted list recognizes local business leaders across various industries who serve vital roles within the community, champion civic initiatives and help strengthen the local economy. Honorees featured in San Diego 500 encompass a wide range of industries, including defense, manufacturing, service providers, financial and technology firms, life sciences, and real estate companies. RippleNami continues to execute on connecting 5 billion unconnected people to resources and services needed with an easy-to-use blockchain data visualization solution leveraging the proliferation of mobile phones. Headquartered in San Diego, RippleNami’s offices include Kenya, Uganda, Sierra Leone, the United Kingdom, and Southeast Asia. Each year the San Diego Business Journal selects 500 influential leaders from every significant sector of the business community. The executives featured in the San Diego 500 consists of people who have founded or are running a significant business regarding a number of jobs; key products and services; experts who raise the level of the industry here and beyond; and business people who lead in the community. Learn more about San Diego Business Journal at www.sdbj.com.